After what happened earlier this week, Makenze Bullins might want to consider posting a "No ssssoliciting" sign outside her door. Bullins wasn't at home on Tuesday when an alert came through on her phone. She has a motion-sensing doorbell at her Kansas house, and it's set to send her a video message whenever someone drops by. This particular visitor, however, was totally unexpected. How'd Bullins handle it? Well, she basically flipped out. "This is NO JOKE!!" Bullins wrote to her friends online, presented here with her emphasis preserved. 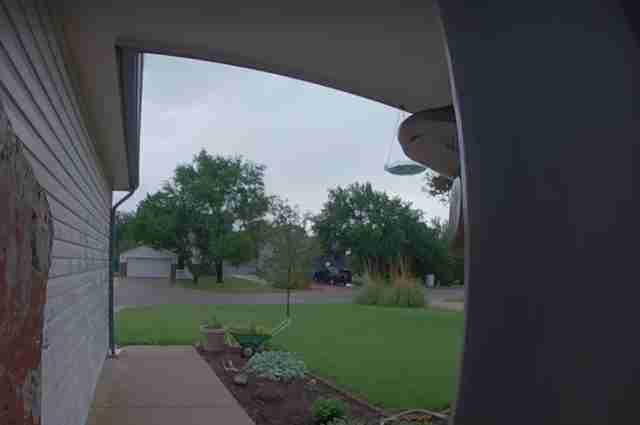 "[My husband] is out of town, I’m at work and this freaking thing keeps setting off my doorbell camera!! Someone PLEASE come get this snake for me! PLEASE PLEASE PLEASE!!!!"" Bullins clearly has some nice friends; one of them actually came by to safely relocate her scaly surprise guest. It's unclear exactly what species of snake this guy is, but the consensus seems to be that he's totally harmless to humans. 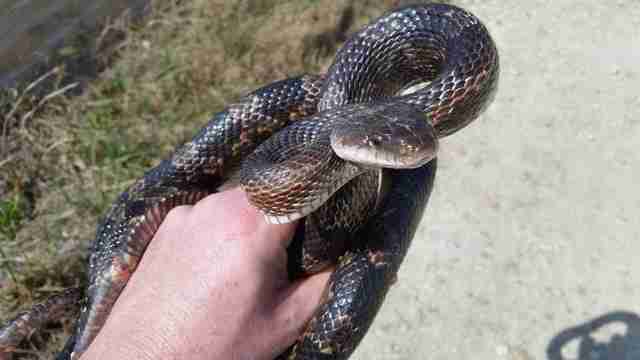 In fact, as one of Bullins' friends pointed out, perhaps she should have welcomed him: "Good snake to have around for mice and other critters," the friend wrote. And, hey, at least he rang first, rather than inviting himself in.